England coach Roy Hodgson says Liverpool winger Jordon Ibe has a good chance of an England call-up this season if he shows consistency. 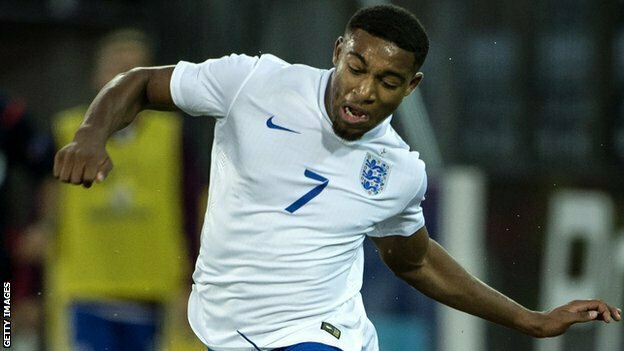 Ibe, 19, won his first Under-21 caps this month, but Hodgson says he could feature for the senior side, possibly in October’s Euro 2016 qualifiers. “He is someone we’ve been looking at,” Hodgson said of the teenager. England, who confirmed their place at Euro 2016 with three games to spare, face Estonia on 9 October and visit Lithuania three days later. Ibe joined from Wycombe as a 16-year-old in January 2012 and made his league debut against QPR in May 2013. He had loan spells at Birmingham in the spring of the following year, and then Derby during the first half of the 2014-15 campaign. The London-born player made 14 appearances for the Reds last term and has featured four times this season, although he has yet to score for the Anfield club. Former England and Liverpool captain Steven Gerrard told Hodgson of Ibe’s potential a few years ago. “He said: ‘We have got this young lad, he is something special.’ He had the same feeling about Raheem [Sterling],” explained Hodgson.